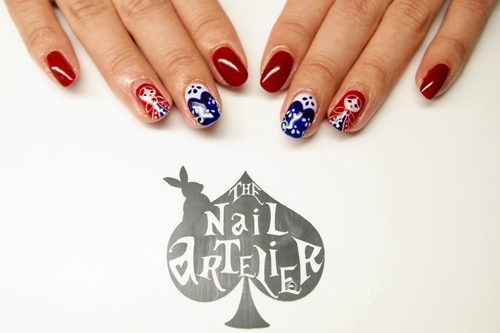 Today I’m going to share a design from one of our Japanese nail magazine! 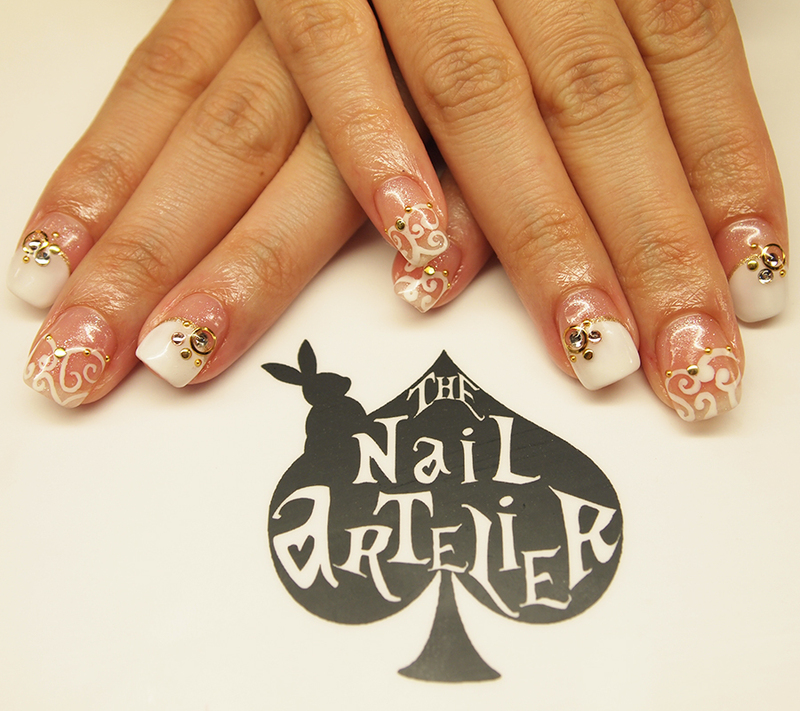 It is a white Baroque style nails alternating with a half tip reversed French with embellishments! 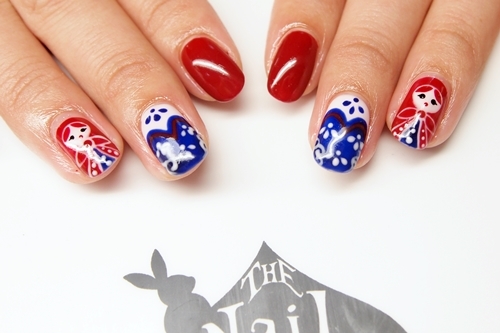 Personally, I really like the half tip reversed French tips. They just looks so classy! 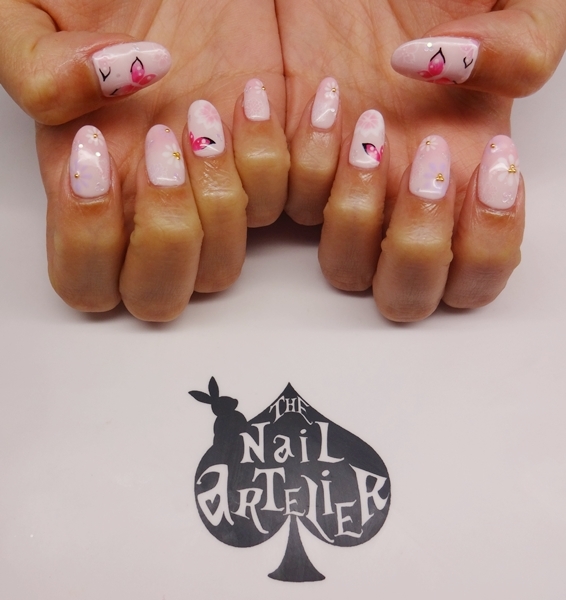 This design was inspired by this set done with stamping plates over at Nailz Craze, super adorable! 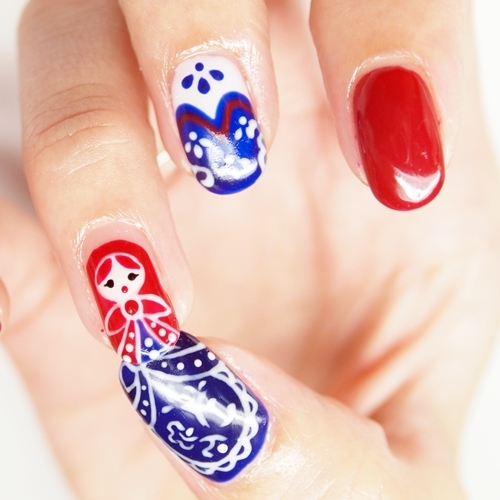 So the customer decided to make some changes; only one doll on each hand, a simple porcelain design that Ying did a while back as an accent nail, and keeping the rest of the nails simple (red). I spent a while on the dolls, and I love how they turned out! Not as perfect as the original, but still adorable! And here’s an obligatory shot of the matryoshka doll! 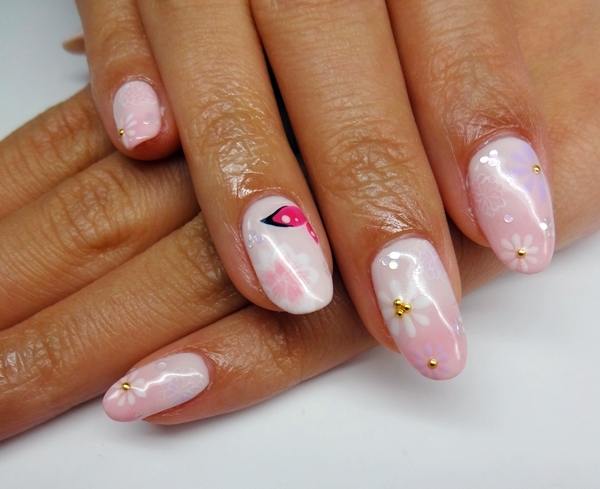 This kimono-inspired set is so delicate and pretty, with subtle details that are so hard to photograph. 😦 These photos really don’t do the design any justice! 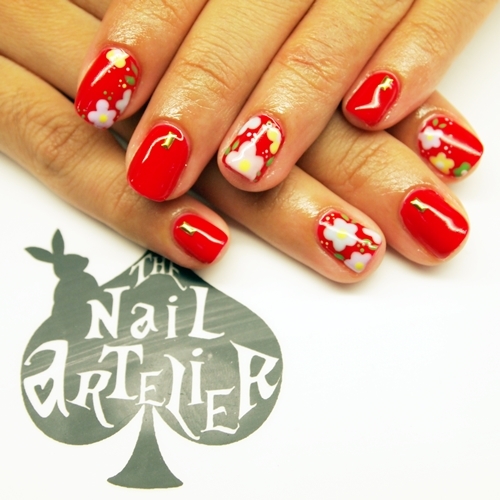 The subtle details include gradients, shading, and intricately outlined tiny flowers. There are also opalescent disco balls and mini gold studs to glam this set up! 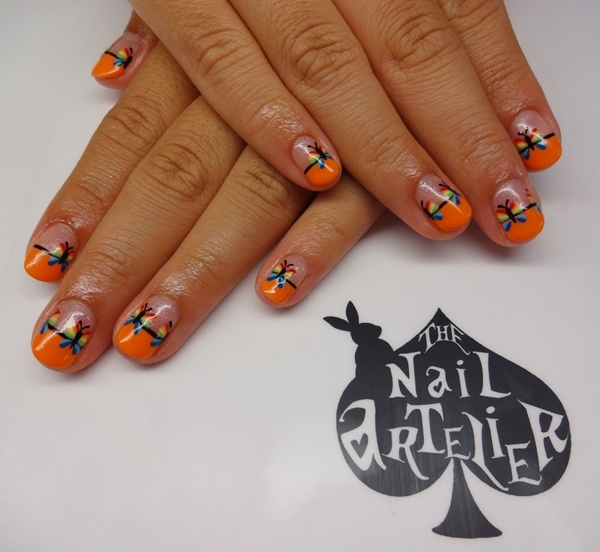 Hey guys, today I’m going to share with you a design that my customer picked from Cynfulnails! I really liked the colour combination for this set. 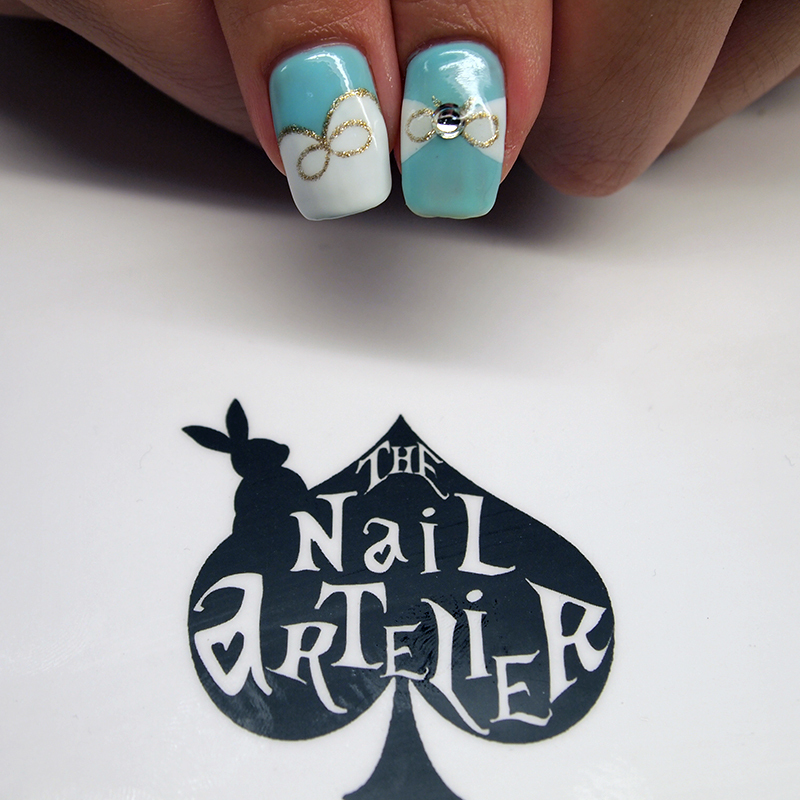 I’m a huge fan of that Tiffany-like colour, along with the white and gold, it’s just suuuper pretty! 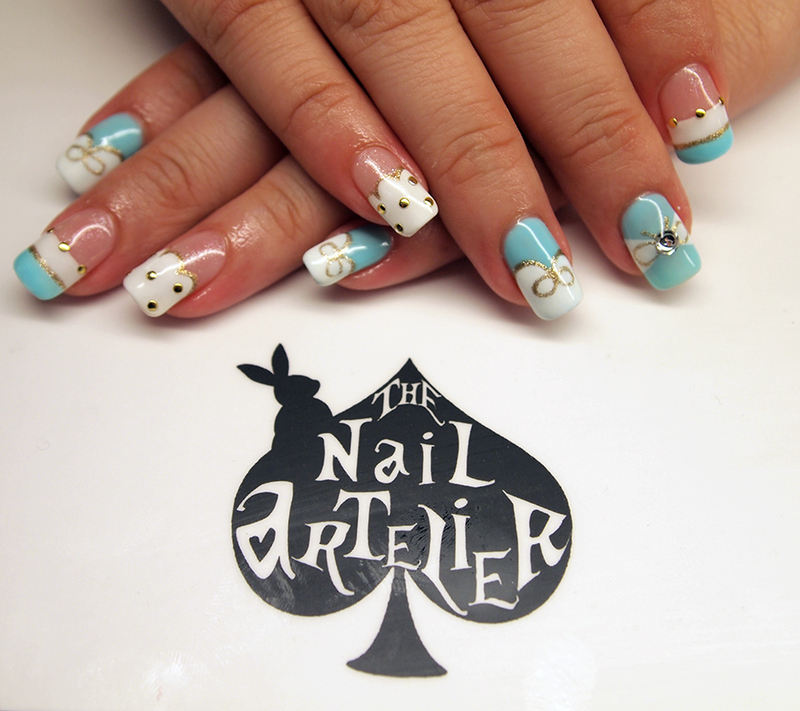 Can’t decide which is my favourite nail, the infinity ribbon or the scallop French with studded polka dots! 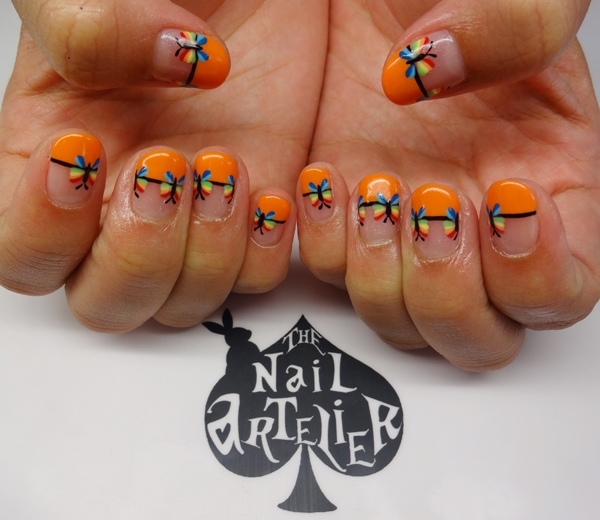 This set was requested by a customer getting ready for Hari Raya celebrations, hence the festive color scheme! 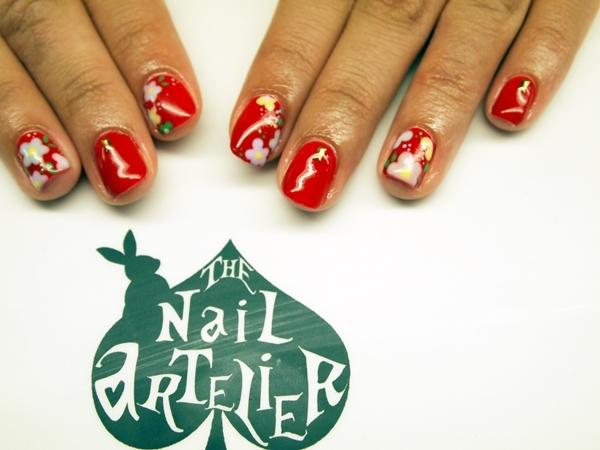 She chose a red base with pastel colorful flowers on some fingers, and just a simple gold metal rectangular stud on the rest. 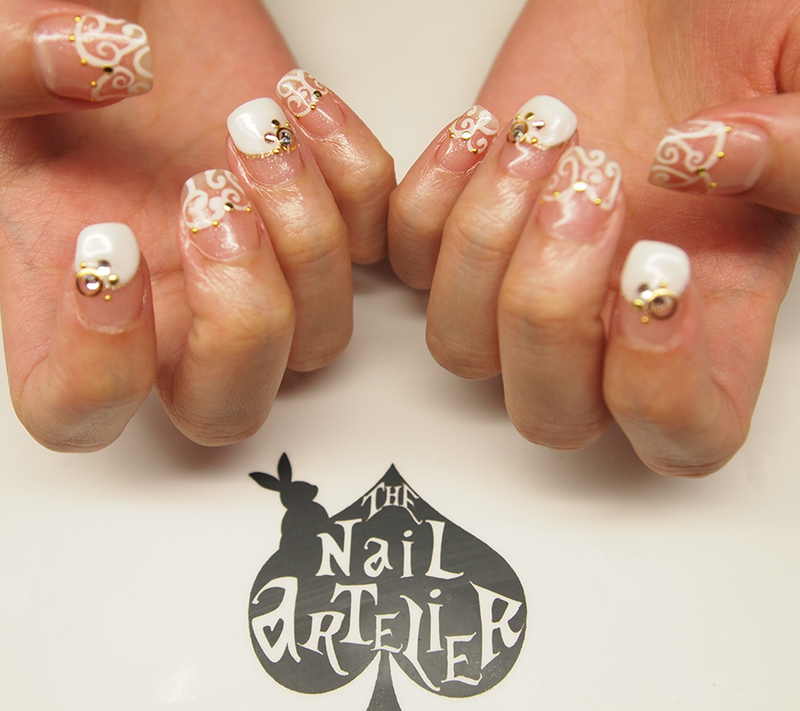 The set looks really cute, and I especially love the simple accent nails with the gold studs! Today’s design is a replica of a Robin Moses set that my customer showed me! 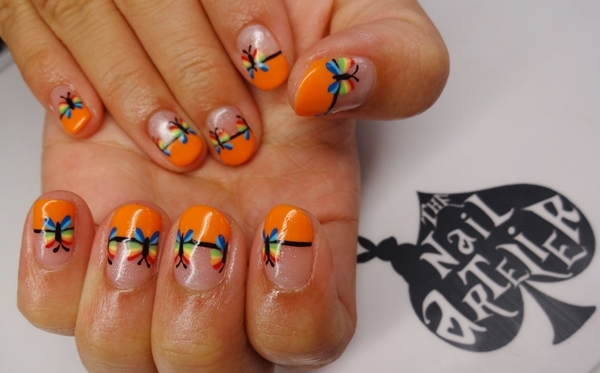 Gel mani: Colour up your life! This design was slightly inspired by one of the previous set that I did for Valerie, the double stripe French + our August promo (the stripey ribbon set)! Since she was going for the Happiest 5K Colour run marathon during the weekends, she chose a myriad of colours! 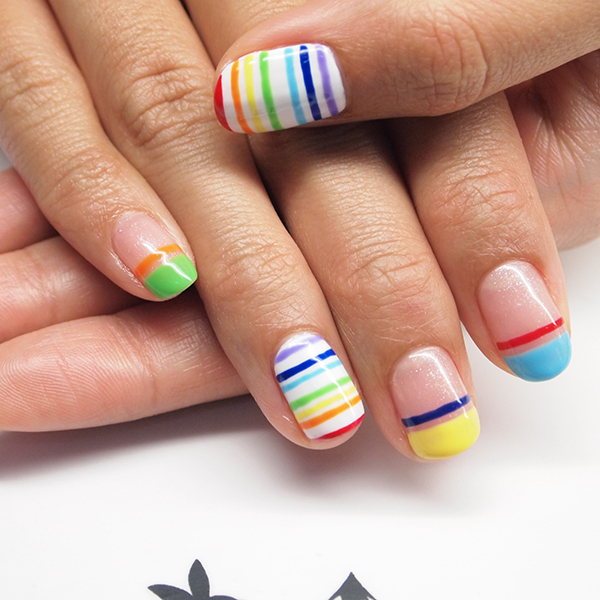 As you can see below, we’ve mixed around the colours for the French tips and have the rainbow striped nails randomly spaced!